B.A., St.Petersburg State Polytechnic University, 1965. M.Sc., St.Petersburg State Polytechnic University, 1969. Ph.D., Petersburg Nuclear Physics Institute, 1984. My research interests are in the area of Experimental Nuclear & Particle Physics and Phenomenology. Experiments are conducted at PNPI, TRIUMF, BNL, Jefferson Lab, MAMI, & MAX-lab. Check out the INS DAC site for many details. A list of my publications and recent invited talks is available. Member of IAC: QNP2015 Conference (7th International Conference on Quarks and Nuclear Physics), 2-6 March, 2015, Valparaiso, Chile. Member of LoC: PWA2013 Conference (7th International Pion-Nucleon PWA and Interpretation of Baryon Resonances Workshop), 23-27 Sept. 2013, Camogli, Italy. Member of OC: Isospin Filters Workshop '13, 29-30 June, 2013, Edinburgh, England. Chair: EIC Workshop at GW (Physics with Secondary Hadron Beams in 21st Century Workshop), 7 April, 2012, Ashburn, VA, U.S.A. Chair: PWA2011 Conference (Sixth International Workshop on Pion-Nucleon Partial-Wave Analysis and the Interpretation of Baryon Resonances), 23-27 May, 2011, Washington, DC, U.S.A.
Co-Organizer: NNR2009 Conference (Workshop on Narrow Nucleon Resonances: Predictions, Evidences, Perspectives), 8-10 June, 2009, Edinburgh, England. Chair: Database Working Group, Baryon Resonance Analysis Group (BRAG), 1999-Present. 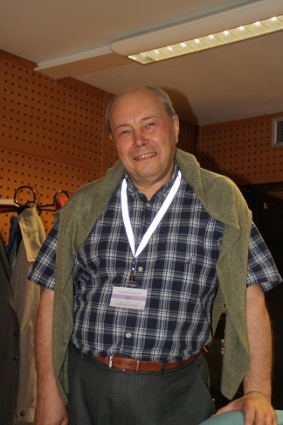 Referee for grant proposals: Science and Technology, Facilities Council, United Kingdom, 2011; Ministry of Science, Education and Sport of the Republic of Croatia, 2006. Referee for journals: Physical Review Letters, Physical Review C, Physical Review D, Physics Letters B, European Physical Journal A, Journal of Physics G.
Member of several collaborations as Geant4, A2, and CLAS.